Ansel Adams once said, “There are always two people in every picture: the photographer and the viewer.” In this class, you will take on both of these roles. As the photographer, you will plan and execute imagery of your own. As the viewer, you will reflect upon the work of your peers as well as other artists. Together, you will embark upon a mutually powerful learning experience that can influence not only your own personal studio practice but your instructional decisions in the art classroom as well. 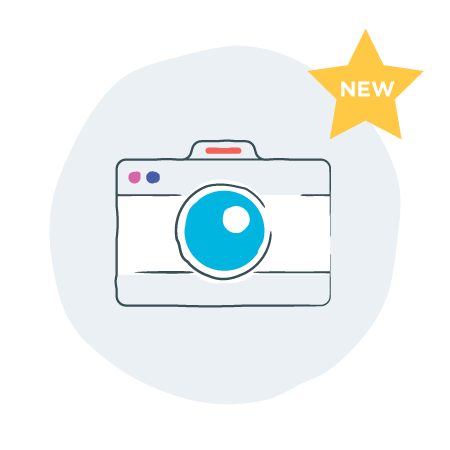 In this course, you will learn the basics of photography as you capture moments and create visual stories. You will acquire a strong understanding of light, as you manipulate the camera to create your imagery. You will also consider implications for the classroom, as you explore best practices and meaningful strategies for approaching photography with students. You will walk away from this course with a comprehensive portfolio of studio work alongside practical tools for the classroom. To complete this course, you will minimally need access to an SLR camera and computer for basic editing. There are a variety of recommended materials, supplies and programs. View the materials list for this course. Only 4 days remaining to enroll in this course. Identify and utilize the various features of the camera to creatively control your imagery. Explore the basic qualities of light as you embark upon a series of photographic challenges. Engage with tools for editing your images post-shoot as you consider ways to showcase and celebrate your artistic endeavors. Create original photographic work as you experiment with concept, media, and composition. Research best practice, including basic and advanced processes, for incorporating photography in the classroom setting. Demonstrate conceptual planning by developing or extending photography curriculum. Take part in collaborative conversations as you critique the work of one another, as well as exemplars from the field. Look at historical and contemporary artists in the field as you start to define a personal style of your own. Let the work of others help you establish achievable but also artistically challenging goals for this course. Become familiar with your camera. Learn functions and settings allowing you complete control in capturing the images you wish to achieve. Put your learning into practice by participating in a variety of photographic challenges. Dive into a variety of photo editing options. Upload your images and manipulate them to varying degrees using programs of your choosing. Set up a digital workflow that makes sense for you. Shift gears from technique to message as you define your photographic work further. Look at different compositional approaches as you find the storyteller within. Consider the variety of ways you can share your work with viewers. Consider traditional and alternative processes for making images. Experiment with various approaches as you consider the evolution of the field at large. Consider ways to bring fine art photography into the classroom setting. Prepare instructional materials and plan for unique management scenarios. Explore the methods, techniques, and applied learning from this course in the creation of an original series. Participate in a mid-point critique as you benefit from the advice of instructor and peers. Compile your final portfolio, showcasing your work and learning from this course. A sample assignment from Week 3 of the class "Studio: Photography." Explore the buttons and functions of your unique camera. Learn how different functions can control the final output of your imagery. Describe your experience getting to know your camera. Share your successes and failures. Ask informed questions in order to strengthen your understanding of photographic concepts. Begin experimenting with different shooting options by embarking upon a series of photography challenges.